Toyota is preparing to disclose its Prius hydrid technology to catch up with its competitors in the Chinese market. So far, the majority on the Chinese market are electric vehicles, that have to be certified in accordance with the standards of the CCC (China Compulsory Certification). According to anonymous sources, the Chinese government asked Toyota to provide its successful hybrid drive concept to local automakers. The same sources also reported advanced discussions between Toyota and Chinese Geely Automobile Holdings for a license to build the hybrid powertrain in China. The initiative from Toyota for hybrid vehicles could benefit from the support of the Chinese government. Until now, predominantly electric-powered vehicles have been promoted, but hybrid vehicles, especially useful on long-haul trips or in rural areas, could accommodate China’s ambitious plans to reduce its emissions and dependence on oil imports. Tensions in the US-China trade dispute further fuel Toyota’s announced cooperation. Increasing popularity of hybrid vehicles could help Toyota catch up with its rivals Volkswagen and General Motors in China. Both were able to sell more than 4 million vehicles last year, compared to 1.3 million for Toyota. Currently, Toyota’s share of hybrid vehicles sold in China is ten percent, and the target for 2020 is 30 percent. At the present time, Chinese automakers have very limited hybrid technology. Therefore, they could provide the technology as a full package to Chinese partners under license. One reason for licensing is the complexity of a hybrid powertrain system. 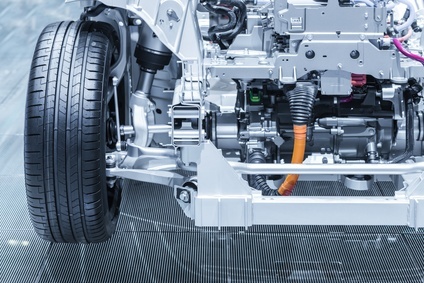 According to analysts and experts, such a system can not simply be copied and must be optimized in new vehicles and production environments with the necessary know-how. As a possible partner, the Chinese battery supplier Hunan Corun New Energy is in discussion, which has close ties to Geely and other automakers. Geely has risen to number 3 for the first time in terms of sales this year, leaving all Japanese competitors behind. Vehicles, no matter imported or locally produced, must be CCC certified and bear the appropriate CCC logo.